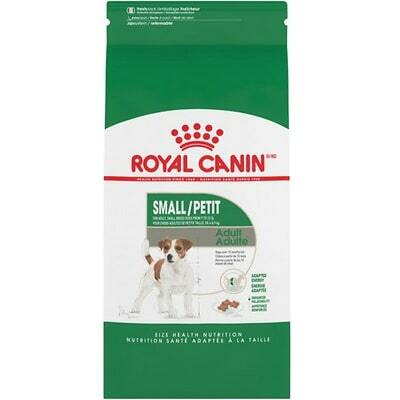 Royal Canin Medium Puppy is a low-priced dog food with lower-end quality. This product has 6 controversial ingredients but has no artificial preservatives, colors or flavors. It has well-balanced amounts of protein, fat and carbs but the quality of the meat and fat is mixed. Royal Canin has an above-average number of dog food recalls but was very transparent when answering our questions. The average dog food we reviewed has 39 total ingredients, with 1 controversial ingredient. This product has 6 total controversial ingredients and 4 of them are found in the first five ingredients. This is concerning because the first 5 ingredients make up most of the product. Wheat is a grass and cereal grain often used in dog food. It provides protein, dietary fiber, manganese, phosphorus, niacin, B vitamins and minerals. Some dogs may develop wheat allergies, though they are a lot less common than allergies to beef, dairy and soy. The jury is still out on whether wheat is a high-quality dog food ingredient so please consult your vet if you suspect your dog may be allergic or has food sensitivities. Grain-alternatives like potatoes, peas and legumes may be linked to canine heart disease (it's too early to say this conclusively), so keep that in mind when buying foods without wheat and other grains. Brewers Rice is basically white rice that has been broken into smaller pieces. It's a waste product of the milling process and considered a low quality ingredient because it’s missing many of the nutrients contained in whole ground rice and brown rice. Wheat is not simply good or bad. It's a lower cost ingredient that does provide energy, but some dogs can have a sensitivity to it. Wheat is not generally considered a controversial ingredient, but is controversial when it is used in the top five ingredients (which make up about 80% of the food's weight) where a named meat or lean protein would be more nutritious. Brewers Rice Flour is white rice that has been ground into a fine flour. It's a by-product of the milling process and we consider it a low quality ingredient because it's missing many of the nutrients contained in whole ground rice and brown rice. This product also includes Brewer’s Rice (above), so we have two instances of a lower-quality food being added. An oil that is extracted from a mixture of seeds which contain Omega-6 and Omega-3 fatty acids and is commonly used to supply additional energy and flavor. However, since this ingredient is not specifically listing it's plant source it's not possible to determine the quality. 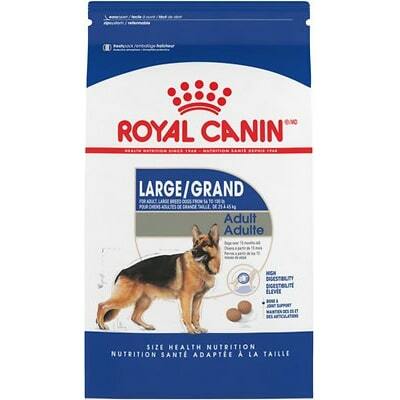 Royal Canin dog food is made in the USA. The strict laws and regulations here ensure a high minimum quality standard for dog food manufacturers. The quality of the meats and added oils in this food varies. We find Chicken By-Product Meal and Chicken Fat - both clearly showing you what they are made of. But then we also spot Fish Oil and Vegetable Oil. Which animals and plants are they made from? It remains unclear. Both of these could be much more transparent. 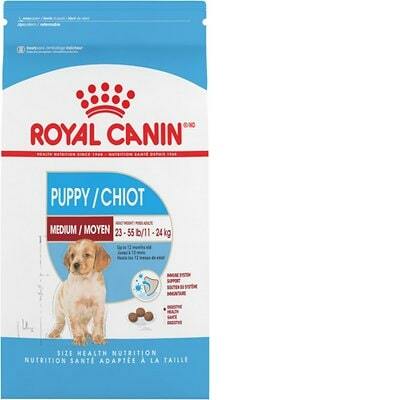 Royal Canin Medium Puppy uses 0 controversial artificial preservatives, excellent. It’s good to know that ‍not all artificial preservatives are bad. That’s because they serve an important purpose, which is to prevent food from spoiling. However, we consider 11 artificial preservatives controversial because of their potential link to cancer and other serious health conditions. Royal Canin has an above-average number of food recalls.